Mr. Weitzman is a member of Jackson & Campbell, P.C.’s Business, General Litigation and Trial and Real Estate Practice Groups. 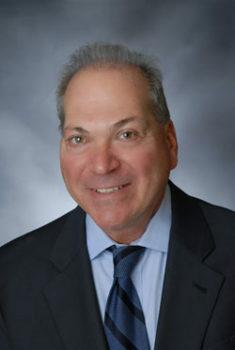 Mitch’s practice involves general civil litigation, with an emphasis in representation of real estate development and management firms in commercial lease disputes and bankruptcy matters. He is a member of the Litigation Section of The District of Columbia Bar; The Real Property, Planning, and Zoning Sections of the Maryland State Bar Association; and the Real Estate and Civil Litigation Sections of the Virginia Bar Association. In addition, Mitch has presented seminars involving recent developments in bankruptcy law and acted as an instructor for obtaining licensing in commercial real property management. First admitted to practice in 1979, he regularly handles litigation matters in the state and federal courts in the District of Columbia, Maryland, and Virginia. Mitch joined Jackson & Campbell, P.C. in 2010 and maintains several long-term relationships with metropolitan area development and management firms, dating back to the 1980s.